Art credits to Amanda Hu! As winter break approaches, students prepare their bumps, sets, and spikes for one of the most beloved traditions at Ridge High School. Preparation for the annual volleyball tournament at Ridge began in December as dozens of students began to hastily assemble their teams. Throughout the month, excited juniors and seniors will register their athletes, hone their players, and compete with their rivals in an attempt to earn eternal glory and a coveted chance to defeat their teachers. Starting in the first week of December, students formed groups of ten and, with a fee of ten dollars, registered them at the guidance office. In the weeks leading up to the actual competition, these teams will tirelessly practice outside of school in order to enhance their chances of success. Finally, shortly before Ridge High School begins its winter break, junior and senior teams will compete within their respective grades in order to determine the grade-level champion. The final junior and senior teams will then face each other, and the winning team will finally challenge the faculty team. For some students, the registration process has proven to be the biggest hurdle. According to class gossip, prospective teams began arriving at the guidance office on the day of registration at 5:20 in the morning. Natura Sant Foster ’16, who hopes to compete in the tournament, remarked, “That’s crazy.” She went on to say that the first-come-first-serve nature of registration could be made more efficient: “They should open the old gym so that more teams can play. I know a lot of people look forward to this event and they don’t get to play because all the spots are filled up.” Sant Foster refers to the fact that the volleyball tournament strictly occurs in the newest gym as well as the fact that the amount of teams possible is limited, leaving many disappointed. Bigini accurately summarizes the spirit of competition within Ridge High School. For many students, the tournament is a showcase of athletic ability or pride in one’s grade, and it instills a frenzy of emotion in many teams. 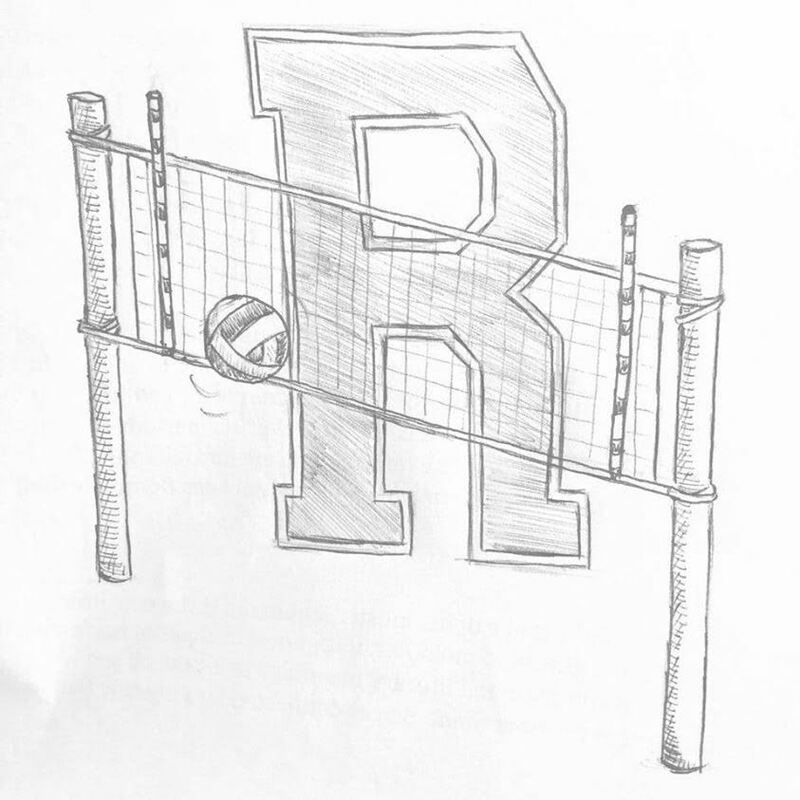 The volleyball teams at Ridge have a history of high performance and often bring their skills to the forefront of the volleyball tournament. Thus, the tournament not only serves as a friendly athletic event but also as a highlight of some of the most skilled athletes at Ridge. Other team members play integral roles in their teams as motivators. Tim Chen ’17 commented, “We have a pretty strong team. I’m the pillar of motivation. Half of our team practices, but we’ll definitely have preparation. I’m there to make sure everyone has fun, but also stays motivated.” A friend of his, Brian Soong ’17, also added, “He’s the moral support. He powers his team.” Evidently, students are able to contribute to their team dynamics in all manners. While the students prepare, the faculty team expresses casual confidence at their chances of winning. They have faced tough competition in the past, however. In 2013, the Spiketaculars, a senior team, easily toppled the faculty team; the following year, the faculty team crushed the successful senior team in a sensational bout that caused widespread dejection within the student body. Evan Zhang ’16, who is a captain of the varsity volleyball team, believes that success ultimately “depends on the students.” “I think there are a couple of teams that could do alright,” he remarked. The teams are alight with anticipation and, in some cases, nerves. Jordan Lee ’16 comments, “I’m not nervous. I’m excited. It’s a team of friends and the holiday spirit.” They display their pun-filled t-shirts with pride, excitedly discussing teams such as “Bump-kin Spike Latte” and “Spike Club”. Between first and second period, various teams trickle down to the gym, casually setting volleyballs as they loosen up before the tournament. Before she hurries into the gym, Hyeiwon Kim ’17 enthusiastically remarks, “I feel very competitive right now. I want to win. We have a pretty good team, so there’s a possibility.” Students wish good luck to her and other students as the teams flood the gym doors. By seventh period, the junior and senior classes have filled the bleachers of the new gym. Students mill around, trying to locate their friends in the audience. Occasional bellows of class pride punctuate the dull roar of chatter, which soon swells to deafening levels as the first-place junior team – Mission Unblockable – takes its place against the first-place senior team, Christmas Spiketacular. The mood is tense. As the game begins, the seniors alternately scream with pride and groan in disappointment as Christmas Spiketacular serves up wins and occasional blunders. The juniors, mostly gathered on the bleacher opposite the seniors, counter with support for their own class. The game is close. The score swerves back and forth between the two teams. As the last minute approaches, the seniors take a small lead. However, the juniors quickly rally with a five-point lead of their own, and the game goes to Mission Unblockable. The two competing teacher teams now take the stage. Among the teachers taking the stage are Dr. Pernia, Mr. Goldberg, Ms. Musumeci, Mr. Boop, and Ms. Devlin, though many others fill out the ranks. The visitor team quickly takes the lead and maintains it until the conclusion of the game, aided by certain experienced volleyball players in their ranks. The visitor faculty team has welcomed some members of the home faculty team into its ranks as the teachers prepare to take on the junior team, Mission Unblockable. However, student enthusiasm for the final game quickly wanes as the teachers seize a decisive lead and ruthlessly keep it. With a great deal of incredible spikes, the faculty manage to knock the juniors off-balance to maintain their championship from last year. With the tournament over, students excitedly hugged one another and flooded the doors, exhausted yet exhilarated. Some ruefully shook their heads, while others clapped uproariously for the teams. All gave cheery waves as they went off to enjoy the holidays. As a former member of the Ridge Volleyball team, I am so excited to watch these games. I had no idea this is a thing but it will be so funny to watch the teachers and their volleyball skills. I think the volleyball tournament is a great way for students to get involved in school activities. It’s an exciting and fun way to build new friendships and practice teamwork skills. I think that the volleyball tournament is a great way to show school spirit. I’m very excited to participate and show school spirit. The article used good sources which enhanced the overall feel of the article. The article had good vocab which made me wan to read more. The volleyball tournament is really exciting and this article made me even more excited for next year. I think that the volleyball tournament is a great way to show school spirit. I’m very excited to participate and display my school spirit. Also the great use of vocabulary, and cohesive words made me want to read more of this article, can’t wait for the volley tournament! I really appreciate the updates to this article as the volleyball tournament progressed. Often, articles are only relevant to a very specific time frame, so they are not comprehensive or current come time for publication. In this piece, the writing was not only engaging but also precise. Great work!